I’m so pleased I know more about managing money after getting out of debt. My lack of knowledge was how I got into debt after all. Going through that has been a big learning curve and I really feel more confident about money management. I’m not saying I’ve got it totally sussed but It definitely feels like it is in control now and isn’t so scary. I don’t get overwhelmed when I look at my bank accounts and I don’t panic. Actually – I now check my bank account which is in itself a change! I don’t know why we as Brits don’t talk about money matters, we really should. It is an essential component of life and I’m determined to get people talking about it more. 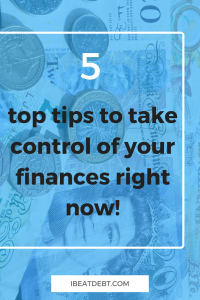 Here are my top money management tips! Have all your regular payments (direct debits and standing orders) set up to leave your account straight after pay day. You will then know where you are for the rest of the month. There’s nothing worse than them not leaving your bank account until later in the month and then there isn’t enough money left for those bills. If you are ever paid early (for example in December) move your salary to another account and pretend you’ve not been paid yet. It will help you keep on top of your money, and make the following month seem less long, as you can move the money back into your normal account on the usual pay day (just don’t forget to transfer it back ontime as again, not having the money in your account can cause problems. If you need to take out a credit card, for example it can make life a lot easier when travelling as hotels often require a card to be swiped in lieu of a deposit, look for the best offer appropriate to your circumstances. Ensure you understand the terms and conditions and the end date for any offers. For example – a 0% card will still require you to make the minimum payments each month, and make sure you’ve cleared the balance before they start charging interest at the end of the 0% period. If it is a 0% balance transfer card, there will also be some fees to cover the transfer. These rules about credit cards apply to all financial products, from bank accounts to mortgages. Make sure you understand what you are signing up for! Have a budget! Not sure where to start? Start by tracking all income and outgoings for a short time. You can see what your disposable income each month is. This will help you to plan your budget and workout what, if any, shortfalls there are that might need to be addressed going forward. If possible plan to put a percentage of that into savings each month (whatever you feel is affordable for your circumstances). There are automated tools that can help you with this down the line. Plan your transport costs! Do you really need a car? I always said that yes I did. Realistically I do now, but for a while there I really didn’t. It was an expensive luxury. It took my car to break down to really stop and think about it. I used to get the bus in the mornings and I’d say 4 out of 5 days I would get a lift either the whole way, or part way home, from a colleague. Even if I made a contribution to their petrol from time to time, that still saved me money against the bus fares in the long run. Now that I’ve relocated, I wouldn’t be able to get to where I need to go without my car, but I learnt (and saved) a lot from that time without the car. 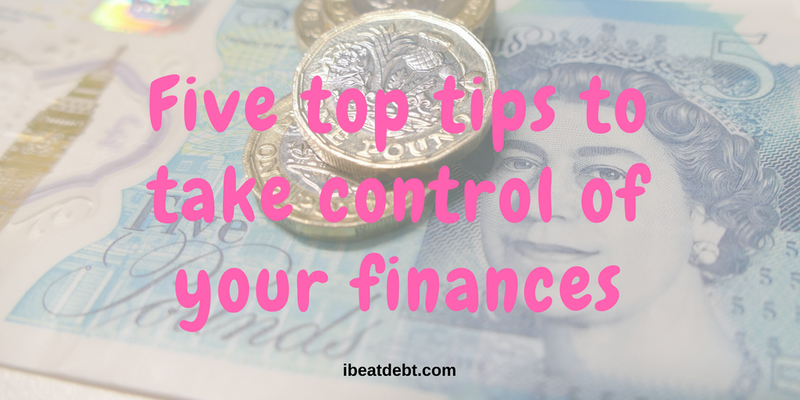 Whether you are in debt or just want to get more confident with managing your money, I would highly recommend visiting the Money Advice Service website. Their information is free and impartial and as it was set up by the government you know the information will be correct and up to date! Good luck on your money management journey. 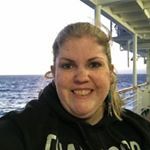 If you are interested in a friendly group of people who will help each other with accountability and motivation when they have money concerns, check out my exclusive Mastering Money Facebook group! What to do if you find yourself in debt? How to save money when you have kids!